This silver kids name necklace has a cute little flower. 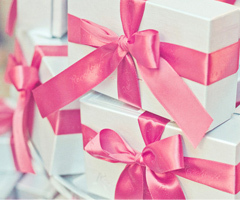 What a beautiful gift is this for your little girl! The capital of this silver kids name necklace with flower is approx. 6.5mm high and lowercase characters are approx. 3mm high. A name of 5 characters is approx. 27mm wide. This width is only an indication, the width is dependent on the character combinations. The silver figaro necklace has a diameter of approx. 2.2. mm and has a length of 35cm (without the name).